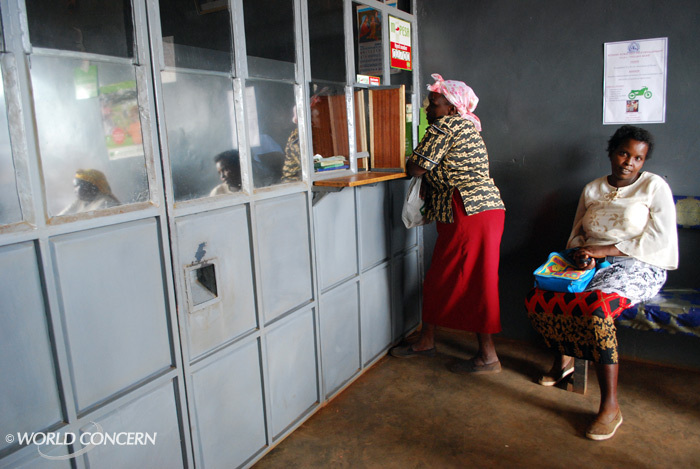 These women are saving for their future at a World Concern-sponsored credit union in Kenya. I just received an amazing email from the president of World Concern, David Eller. He’s in Africa. You know the idea of giving a man a fish versus teaching him to fish? Well, we’ve trained fishermen in Kenya. Actually – bankers and businesspeople. We started community credit unions several years ago … and the people who we’ve helped have taken the concepts they’ve learned and started their own new credit union. The idea of saving and getting loans has been a new concept for many of the people we serve. But when they “get it,” they can save to pay for school fees, have money to last them through a drought, and also get loans to start and expand businesses. They are able to better provide for themselves and take control of their own destiny. Sustainable development. This is cool stuff. One of the Village Credit Unions (Financial Service Associations) that World Concern launched in rural Kiritiri, Kenya is reproducing itself. World Concern has set up seven village credit unions in rural parts of Kenya with the goal of each of them becoming self sustaining. It is a program that is working with six of the seven making a profit for their community shareholders last year. In an exciting development one of the more remote and successful credit unions decided to open a branch office in the neighboring district. They are using the profits from their first location to expand into the new district. They realized that 250 of their 770 share holders were coming a great distance from the neighboring district Kivaa just to access financial services the credit union provided. The shareholder board of directors decided that they should open a branch in Kivaa to provide the financial services that are not available. On their own they have found and remodeled a location for the credit union Kivaa office. Then they started selling additional shares in the credit union with 40 new members joining the first day. From our experience with credit unions that is an amazing one day of share selling. The new community is very excited and the home credit union is affirmed in the need for this branch. As part of setting up the new location have requested that World Concern provide a safe and training for the branch manager and cashier. This example of community ownership and reaching out for new opportunities shows that there is a complete grasp of the concepts of meeting their own needs from resources within the community. This information came from our Kenya Economic Development Manager Winnie Ghachuri. We were talking in her office here in Nairobi, Kenya on the first day of my Africa visit. Winnie has many years of experience with humanitarian aid and economic development programs. She is very excited to see this community driven developmental step taking place. World Concern started planting Financial Service Associations in 2004. This savings based community model of economic development has brought beneficial financial services to remote areas of Kenya. The program has also been launched in our program areas in South Sudan. Two more locations have been identified and will be started in the second half of this year. would like to carry out a research on why members of teachers sacco are joining banks to take up unsecured loans. I believe you made some nice points in features also.